Prime Minister Perry Christie and his Deputy Leader Philip Brave Davis following a landslide victory following general elections. THE CHRISTIE BRAND STRIKES GOLD AND DELIVERS A NEW DAY TO BAHAMIANS! Nassau, Bahamas — Pundits and politicos around the Bahamas are wondering what happened on May 7th, the date when the song – City of GOD – lowered the coffin of the FNM into the ground. Some say it was expected. Others say it was a long time coming, but in BP’s mind it proved something else; for us it proves that Perry Christie is truly no weak leader and is not an abandoner like the FNMs. After losing the government in 2007, Christie did not jump ship. NO! He took the baptism by fire from his Party, and widespread criticisms from the country. Christie profusely apologized. At one point it was said how the leader of the PLP got down on his knees and begged forgiveness. It was the lowest point in all of his political life. But despite it all, Christie did not abandon the PLP, nor did he abandon the country. And here’s what he did. Like a world class leader he is known to be, he restocked his PLP vessel. Brought a new crew to run of the ship, and loaded his political animal with high-powered weaponry. Keod Smith, the man who first annihilated Tommy T, signed up as the gunner in the tower against the FNM front line team. One by one he took out key players in the Ingraham Cabinet. Bradley Roberts returned to the Admiral Chair as Chairman of the Party and began organizing the ground sweep for the PLP. 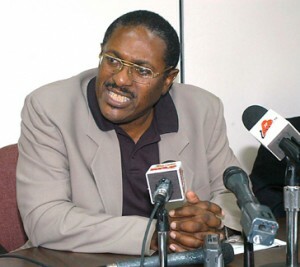 He told media in 2009 he was ready to unseat the FNM and begin his rapid scathing attacks on the Party on the eve of his return as Party Chairman. 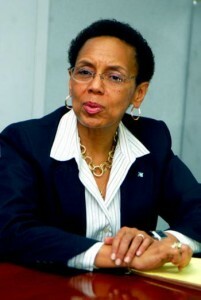 The Iron Lady of Bahamian Politics, Allyson Maynard-Gibson managed, guarded and dispatched the election artillery from the bunker-ed “war room”. Her vast talents and global connections proved priceless for the PLP’s campaign. And then it was Philip ‘Brave’ Davis, the man who told the PLP in 2009 “HOLD ON, I’m Coming”. He became Christie’s secret weapon of mass destruction on the FNM. 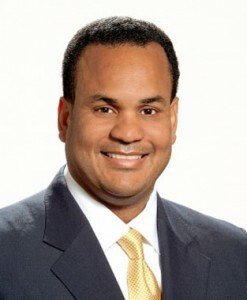 Steve McKinney once dubbed the PLP’s deputy leader as “THE QUIET STORM”. He was the man who got Hubert’s waters on and began exposing the many corrupt practices of the outgoing regime. Collectively, with a bench stacked that deep, there was question in our minds the PLP was headed to government. In fact, with a team like that, any political war in the world could be DONE WITH SUCCESS in less than 28 days. Christie without question has become the UNDISPUTED LEADER with his transformation of the PLP. And we would agree he is the most competent, focused, visionary and steady leader the country has had in a long while. He gathered the most talented group of men and women ever assembled in Bahamian politics; a team and program of which today we dub as: THE CHRISTIE BRAND! You know, the Christie Brand never gives up, never backs down from a fight. Win, lose or draw has never ever abandoned the ship. Two candidates come to mind when we suggest this. We think of Melanie Griffin in Yamacraw, who on a cold night in December told her supporters – “WIN LOSE OR DRAW I FA YOU YAMACRAW”. She said it with tears deep inside. She was sincere. We felt it and believed! The second such candidate with deep commitment to the Bahamian people and his constituents is the Golden Isles new MP, Michael Halkitis. He never left his constituents and his commitment to them back in 2007 never wavered. He met the people and stayed with them. That is what committed leadership all about. Hubert Ingraham cannot say the same. Today, he is considered in our minds, ABANDON-ER-N-CHIEF, who could not deliver a victory for the FNM, and has only delivered pain, suffering, and failure through his government’s policies on the Bahamian people. Would you not agree, that this is the very reason why – in political hindsight – the FNM was kicked out of power and decimated by The Christie Brand? 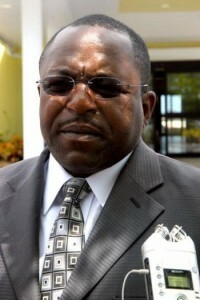 We would like to add, that Perry Christie has in fact, “Politically BEHEADED THE FNM”! After that ‘cut yinner know what’ this week, Papa Clown has jumped down as leader, only weeks after telling the Deputy Leader of the FNM – Brent Symonette – he is no longer a candidate. He axed the strongest candidate for the FNM Kenneth Russell out of the race and one by one removed key players of the Party from its structure. Something gats to be wrong with dat! But FNMs sat, watched it happen and did nothing! 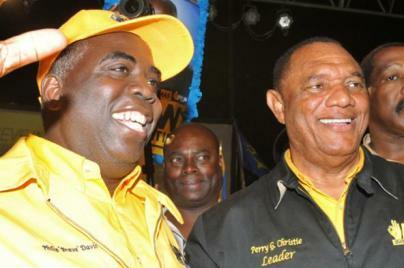 One by one The Christie Brand, defeated the potential successors of the FNM. Branville GONE! Zhivargo Laing GONE! Tommy Turnquest GONE! Earl Deveaux GONE! Desmond Bannister – who called the people of Andros geriatrics GONE! Carl Willshire Bethel – the man who Ingraham assigned a henchmen to campaign against – GONE! And Dion ‘DA GAMBLER’ Foulkes – GONE! He was the man who watch workers bleed a slow death following the job crisis. Like Jerry Roker he is GONE, GONE, GONE! Christie don’t play! And we repeat…He has politically beheaded the ENTIRE FNM! FNMs should sit in disgust today to see what has happened in the party. ONE MAN controlled it. One man was allowed to destroy it! And today that one man has packed and left it! Das yinner PAPA NAH! Abandon-er-N-Chief! FAKE to the end! The bully who cannot fight for FNMs anymore. Now on-the-run and is now a commoner. He would best be described as the man who took the FNM to the 15th floor imploded the building and parachuted through the back door. Das sounds like any real Papa to you?